AMES, Iowa — Artwork exploring humans’ artificial approach to replacing the “lost wild” will be on display March 26 through April 4 at the Iowa State University Design on Main Gallery, 203 Main St.
Toy (with) Animals will feature paintings, mixed-media works and an installation by ISU integrated visual arts graduate student and master of fine arts candidate Anna Segner, Owatonna, Minnesota. Gallery hours are 2–5 p.m. Tuesday, Wednesday, Friday, Saturday and Sunday, and 2–7 p.m. Thursday. A public reception for this thesis exhibition will be from 5 to 8 p.m. Friday, March 29. “As children play with toys that reference animals, they learn to feel empathy for another species, yet they also displace the animals’ actual context, habitat, agency and behaviors. 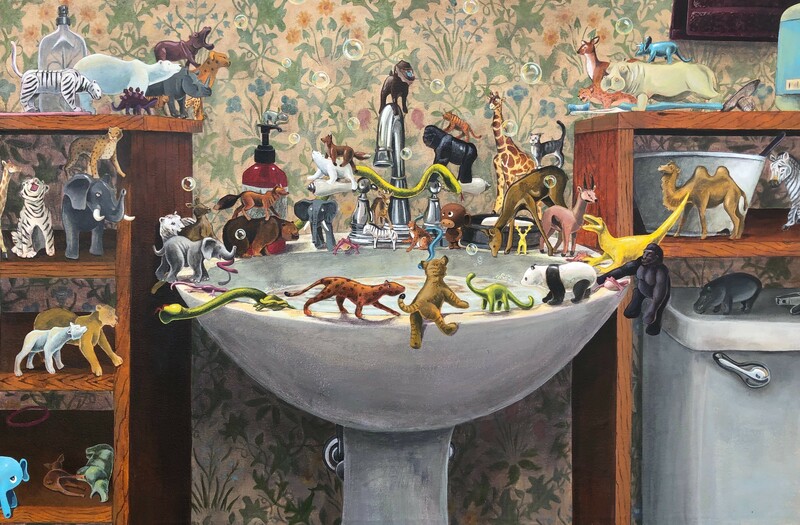 Child’s play forms perceptions and misconceptions about animals’ natural context that are carried through into adulthood,” Segner says in her artist’s statement. Segner uses her art to grapple with the complexity of this artificial approach to replacing the lost wild in our lives. Segner is a mixed-media painter, writer and journalist who received a bachelor of arts in literature with a writing and studio art emphasis from the University of Minnesota in 2015. She worked full time as a reporter for her hometown newspaper prior to attending graduate school at Iowa State. She is the instructor of record for two sections of the first-year drawing studio at ISU and served as a graduate writing consultant for the ISU Writing and Media Center for two-and-a-half years. 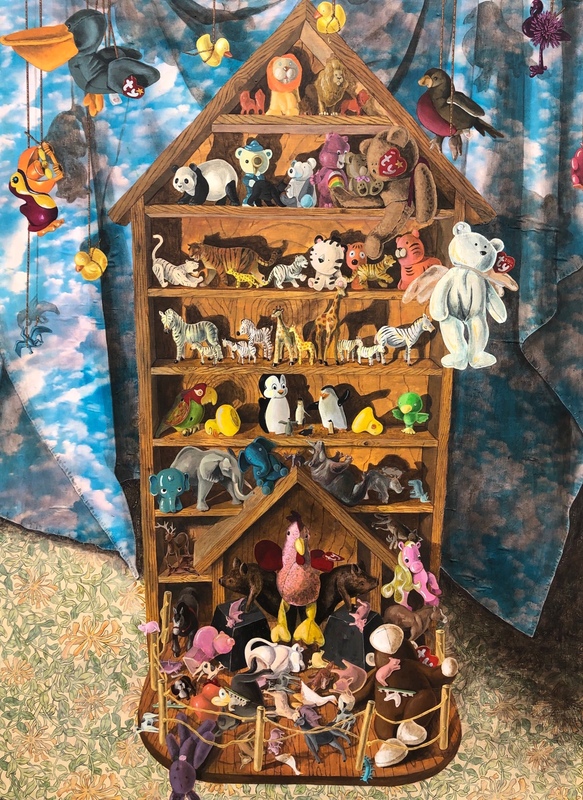 Segner’s work has been accepted in local, regional and national juried and solo exhibitions, most recently Octagonal: The All Media Exhibition, on display through March 31 at the Octagon Center for the Arts in Ames. 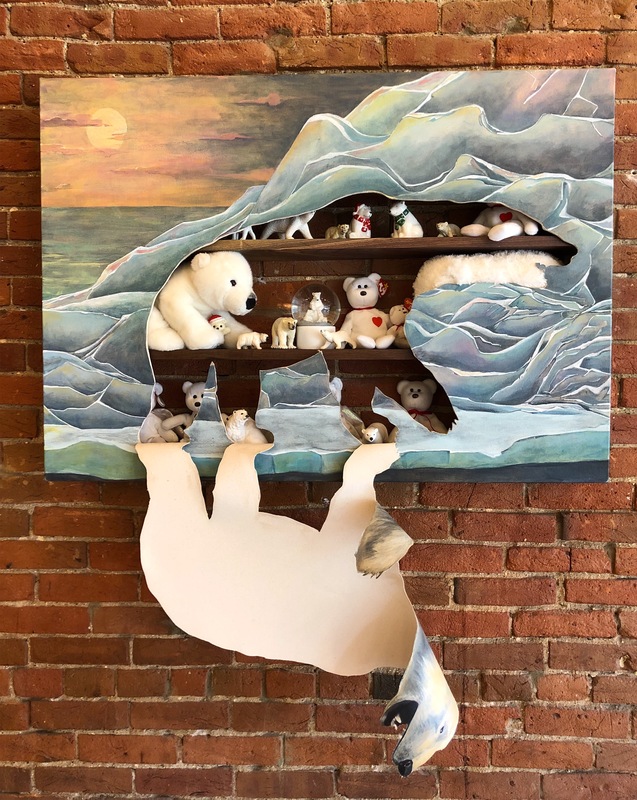 She will receive a master of fine arts in integrated visual arts from Iowa State in May and has been selected to exhibit her work as an Emerging Iowa Artist at the Des Moines Arts Festival in June.